The Rebel Sweetheart. 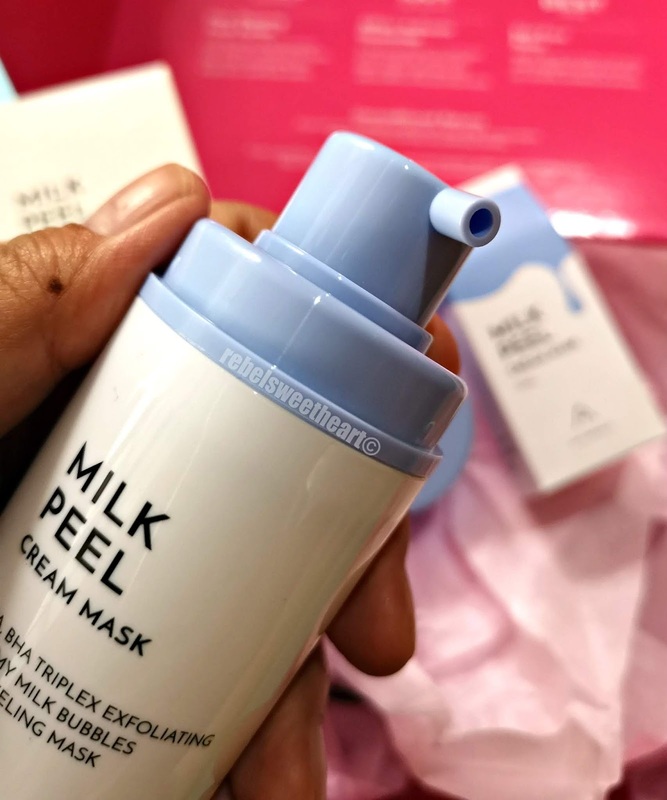 : Spotlight | Althea Milk Peel Cream Mask. 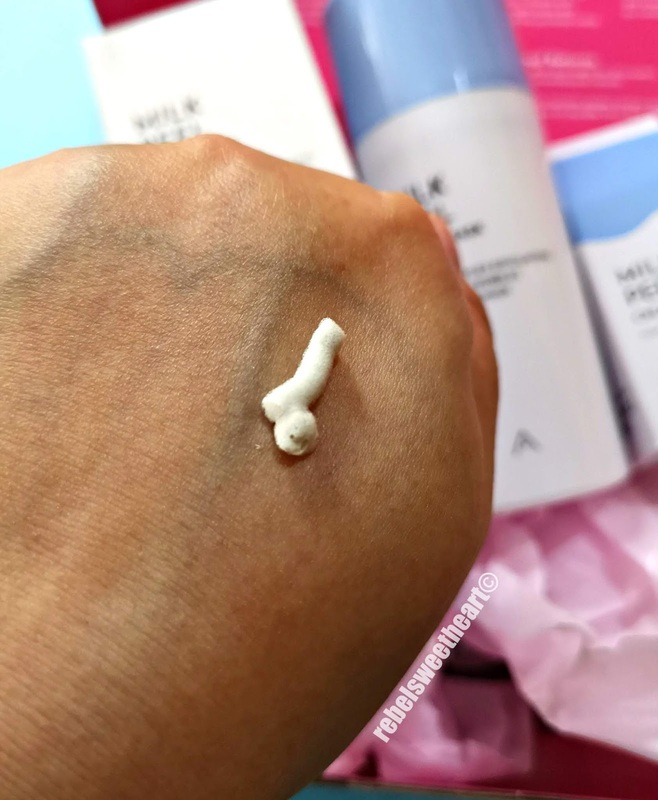 Spotlight | Althea Milk Peel Cream Mask. It hasn't been long since Althea launched their own brand of sunscreen, and now they're back in the spotlight once again with another new product. Althea is on a roll these days when it comes to developing and launching new products, and it's such a delight to be able to try, test, and share my experience with each new item that they bring forth. That being said, here's what I think about the Milk Peel Cream Mask, the latest addition to Althea's growing family. Althea Milk Peel Cream Mask. 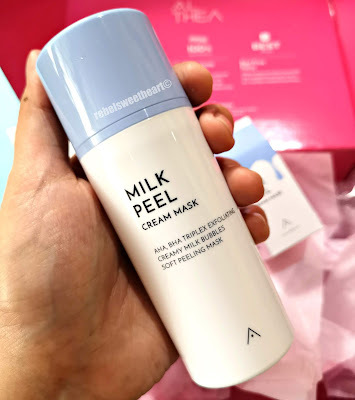 The Althea Milk Peel Cream Mask is a gentle peeling mask that promises to give your skin a 'big gulp of hydration' and 'refreshed complexion'. It combines the power of AHA (Alpha Hydroxy Acid) and BHA (Beta Hydroxy Acid) with the gentle formulation of milk to slough away dead skin cells, unclog pores, and moisturize the skin. 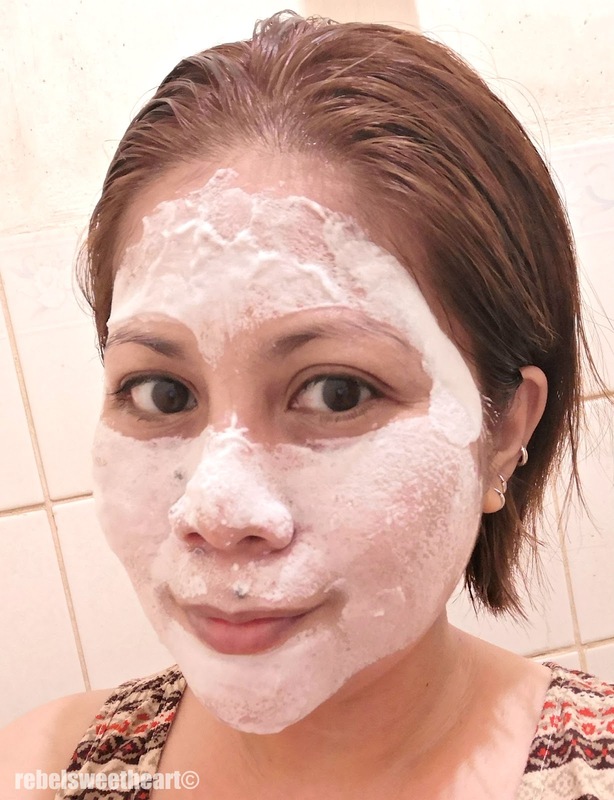 It also contains kaolin, a naturally occurring clay mineral that has long been heralded for its ability to detoxify, cleanse, and soothe even the most sensitive skin. Nothing much to read here so I had to look up all the pertinent information on the internet, lol. As with the other Althea products, the Milk Peel Cream Mask has a simple, minimalist packaging. It comes in a 50 mL pump bottle housed in a white box with hardly any English text on it. I had to look up all the pertinent information on the internet because hey, that's what Google is for (lol). At least I knew beforehand that this is a wash-off mask (not a peel-off mask as I originally thought it was) and it's tested by dermatologists, as indicated on the box. To use, simply apply an even layer onto damp skin and leave it on for 30-60 seconds before rinsing it off with warm water. You get a creamy clay texture as you pump the product out of the bottle, but as you slather it on your skin, it transforms into a bubbly foam. That tingling, ticklish sensation that I felt as the product turns into a foamy lather reminded me of the Bubi Bubi Lip Bubble Lip Scrub, which I use to exfoliate my lips. Its mild, powdery scent, on the other hand, reminded me of the baby cologne that my son currently uses. 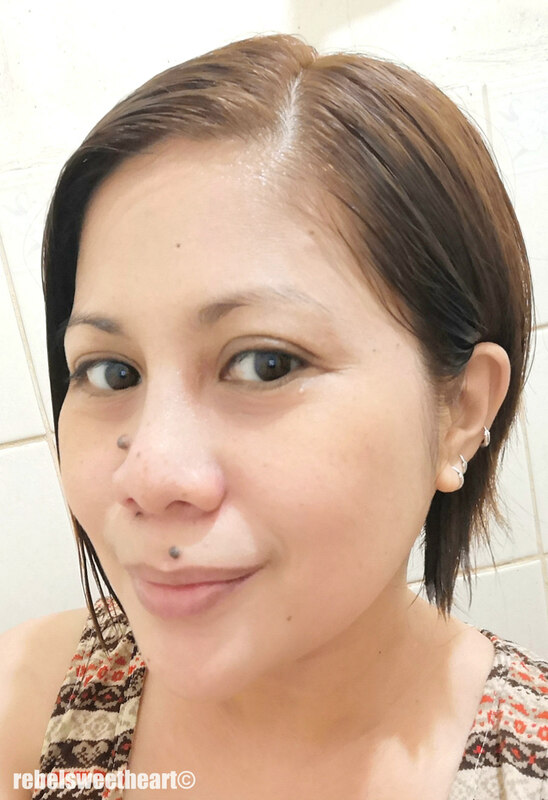 My skin feels really smooth and clean - bouncy, even - after every use. I don't apply this on a daily basis, though, as my skin tends to be dry during this time of the year and the last thing I should be doing is over-exfoliating my skin. I use the Althea Milk Peel Cream Mask twice a week at the most, but if your pores need a bit more unclogging, you can use this product thrice a week. This product is ideal for all skin types, even for those with sensitive skin. The Althea Milk Peel Cream Mask retails for Php 490 and is exclusively available at the Althea website. For a limited time, you can get free shipping on all Althea exclusives using the code PBSHIP at checkout. In addition, you can get a 20% discount on your first order using my referral code. Ꮲretty! This has been a really wonderful post. Many thanks for provіding these details. 2018 | Goodbye with a Grateful Heart. My Althea Christmas Wish List.